This training includes 7 modules with video scenarios, practice quizzes and links to important resources to help you respond supportively and effectively to disclosures of sexual violence on campus. The practice quizzes test your knowledge and prepare you for the final quiz. The practice quizzes are not graded. If you fail a quiz you will have the chance to take it again. If you fail twice, you can then proceed through to the next practice quiz. There are unlimited chances to pass each practice quiz by simply refreshing your browser window and starting the quiz again. This is a large course and may take some time to load on your computer. If you are an employee of an Ontario University or College, this website has been developed for you. This on-line training has been designed for adult learners who approach learning in multiple ways. This on-line training has been designed for adult learners who approach learning in multiple ways. You can move through the training at your own pace. You can travel forward or backward between the training modules and the website at any time. You can explore various links that offer additional resources, further reading or take you to related areas on our website and to various links online. When viewing the scenarios, click on the icon shown for closed captioning. You will find quizzes to test your knowledge and problem solving skills throughout the training modules. One you have completed the modules, you can choose to obtain a certificate by completing a final quiz. 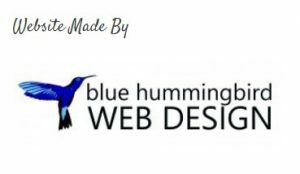 You can also choose to take this course to gain knowledge and skills to support your work, without obtaining a certificate. There is no cost for the training or the certificate. You can also choose to participate in our evaluation survey [here]. 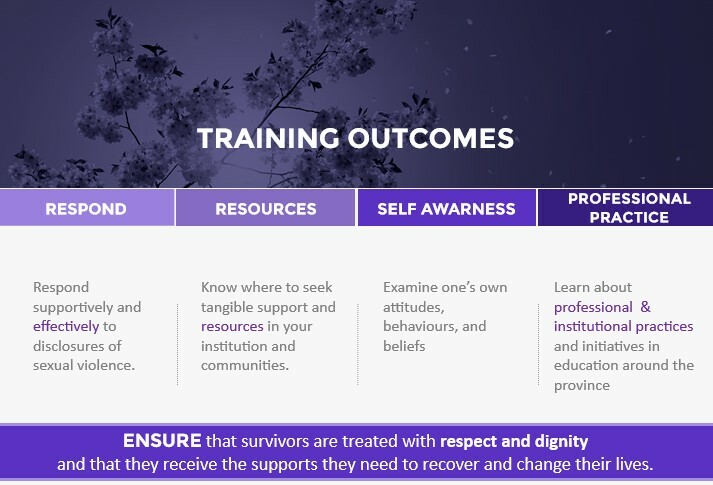 The training contains several video scenarios depicting survivor disclosures of sexual violence and harassment and examples of both supportive and unsupportive responses. The video scenarios are key learning tools for exploring the multiple issues that can influence both the survivor and responder. The scenarios depict many of the barriers and stigma that affect notions of consent and coercion. Some participants may be emotionally affected by the content of the scenarios – just as it is often emotionally upsetting to respond to a face-to-face disclosure by a survivor of sexual violence. If you are a responder who has also been affected by sexual violence and would like suggestions on self support, [CLICK HERE].